At Atlantic Tree Service we believe in building strong relationships with our customers. 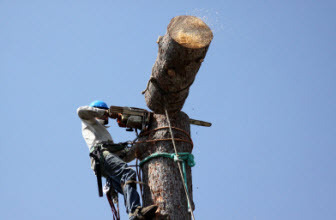 We have many return customers who keep coming back when they have tree care needs. 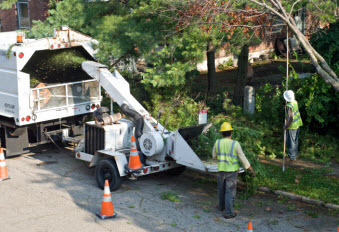 If you live in North Jersey or surrounding areas, and you're in need of tree service, let us help. And 24 hour emergency service. If you’re looking for a local, dependable tree service company, then look no further than the professionals at Atlantic Tree Service. We are fully licensed and have $1 Million Liability Insurance. We have been serving the good people of North Jersey and surrounding areas since 1952. We have always been locally family owned and operated since our family started the company over 60 years ago. We have a broad experience of providing quality tree services to the residents of Morris and Union Counties. No tree care service is too big or small for us, no matter whether it is a residential, commercial, or municipal property or project, Atlantic Tree Service can help. We have the most efficient and experienced tree care technicians and the latest tools and equipment available. We have been taking excellent care of our North Jersey customers trees for decades. We are fully licensed and insured and ready to serve you today! Please see our services page for the many quality tree services that we offer. If you ask our tree experts what service is most essential to keeping your trees healthy and beautiful, we’ll tell you that a regular pruning is the most important thing you can do for your trees. A tree trimming does much more than shape overgrown branches and restore attractive shapes; it also provides your trees with the strength they need to fight infection and resist storm damage. We understand why so many North Jersey commercial and residential property owners avoid removing trees and stumps. Tree stump removal is backbreaking work no matter how you look at it, especially considering the deep root systems New Jersey trees often have. Contact Atlantic Tree Services to do all of your tree and stump removal and grinding for you! We offer the highest quality firewood to residents of North Jersey and take pride in providing some of the best prices around. Our wood can be used in a wide variety of applications from wood burning stoves to fireplaces. We stand behind the integrity of our product and will work with you to help you determine the right amount of firewood for your needs. A healthy, well tended tree provides privacy and shade (which lowers summer utility bills), reduces air and noise pollution, prevents soil erosion and rapid water runoff and produces oxygen while reducing carbon dioxide levels. And a healthy high quality tree adds thousands of dollars to the value of your property! If you want healthy trees, contact Atlantic Tree Service.